I am trying to find out the names of the A.S.L.E.F. 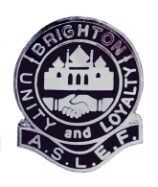 Branch Secretaries for the Littlehampton Branch and the dates they served between. if you have any info please can you let me know. Chichester locomotive shed two road shed on the Down Side. 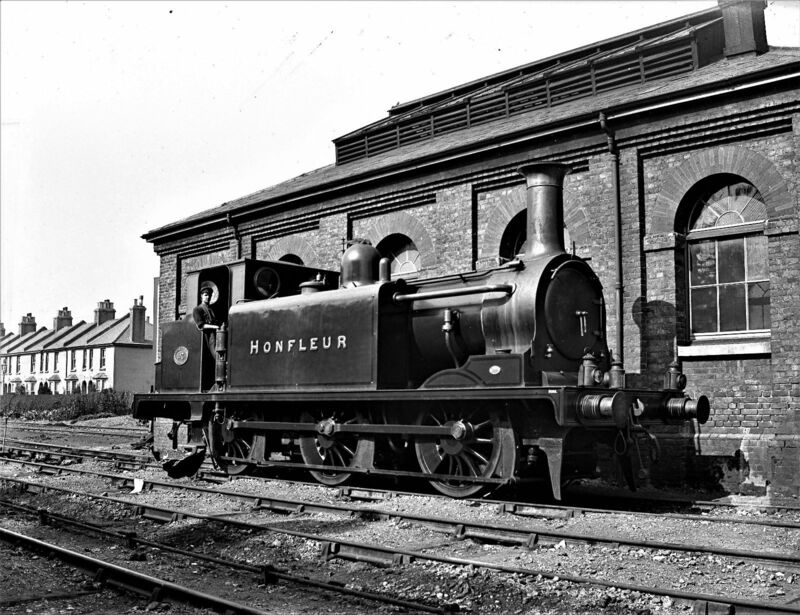 Opened by the LBSCR with the line from Lyminster on 8-06-1846. Chichester was the Railhead until the line was extended to Havant on 15-03-1847 and to Portsmouth on 14-06-1847. 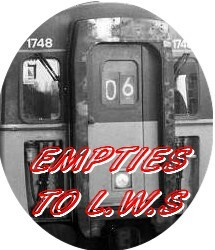 Allocation is unknown, but probably a couple of locos for services between Portsmouh and Lyminster. Close: Date unknown, but early 1870s during Stroudley's `House Cleaning'. 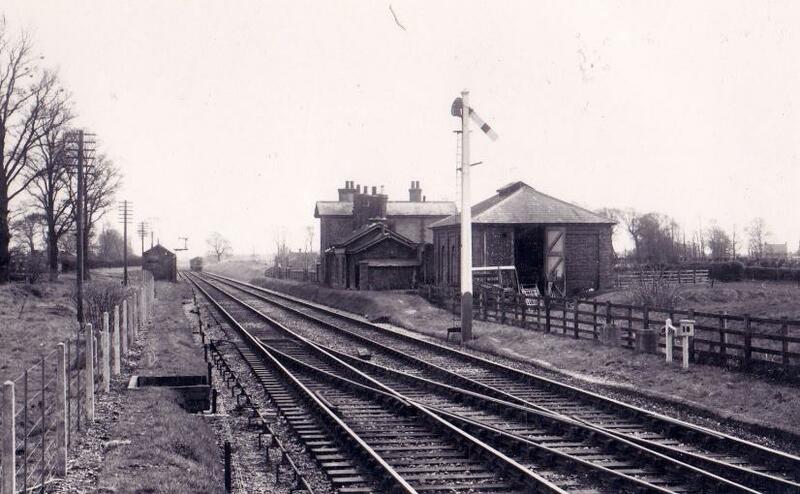 The shed disappeared in the works associated with re-signalling and track re-organisation at Chichester of 1875. 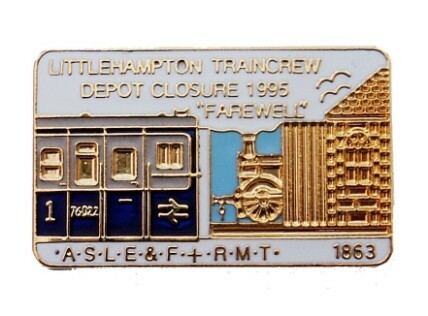 The Littlehampton Locomotive Shed (Shed Code Lton) was opened on the 17th August 1863 by the L.B.S.C.R. 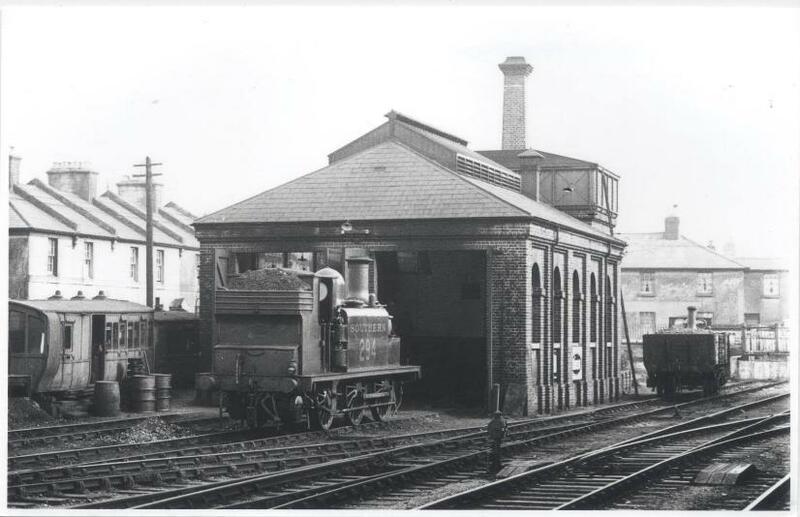 and was opened to replace the nearby Lyminster shed which was opened on the 16th March 1845 by L.B.S.C.R. 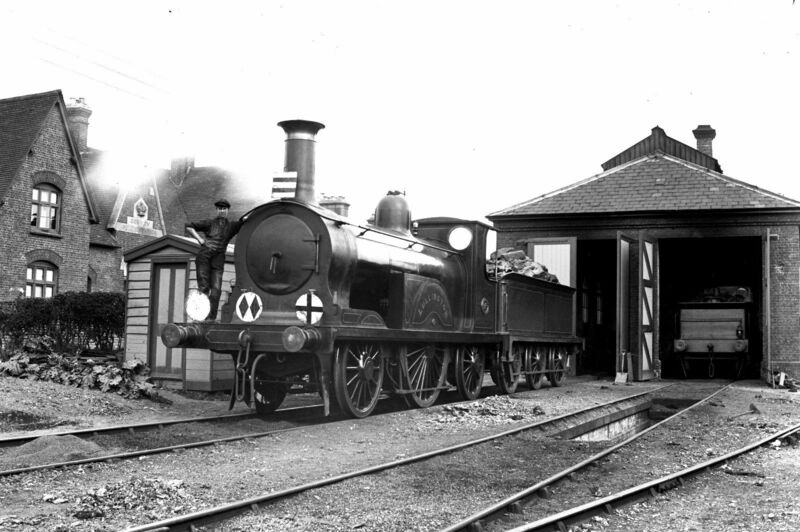 The Lyminster shed was closed on the same day as the Littlehampton shed was opened. Littlehampton shed can been on the left hand side of the photo below. 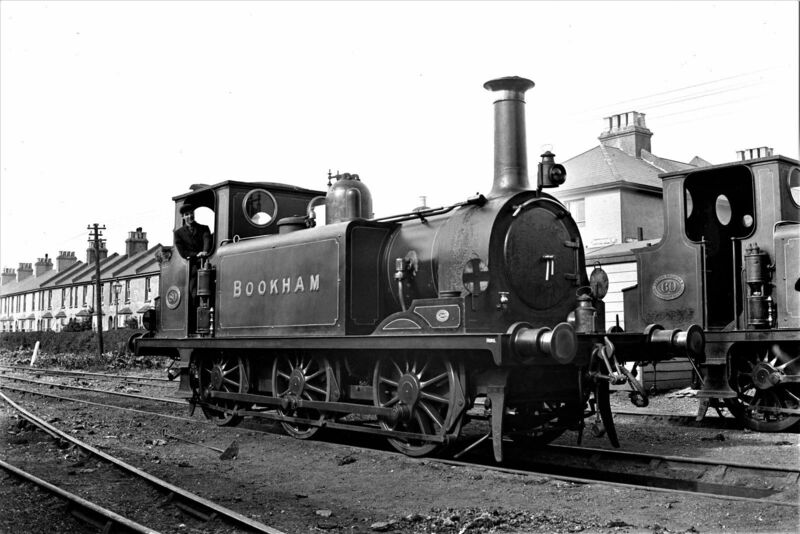 Littlehampton steam depot was a sub-depot of Bognor Regis. 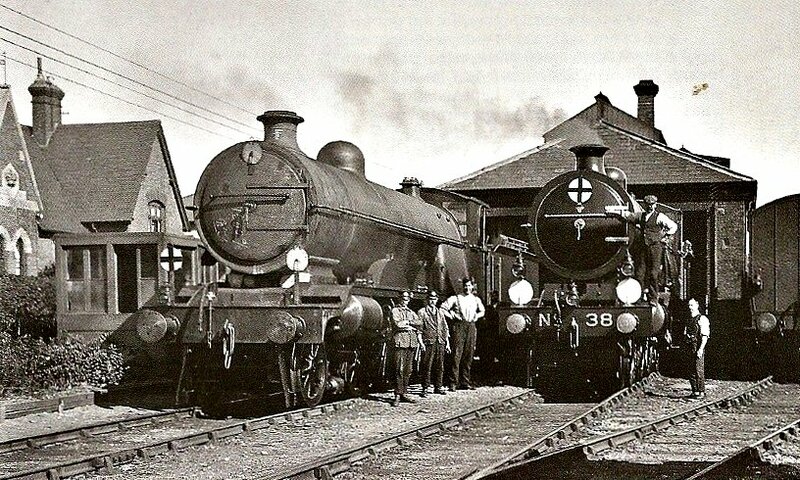 Littlehampton Loco Shed was closed in 1937 to make way for the re-modelling of the station area as part of electrification of the Sussex West coast lines. 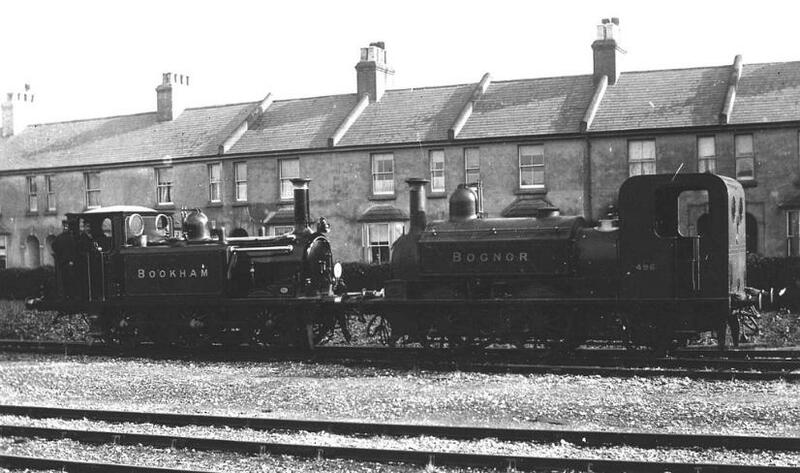 The locomotives allocated for Littlehampton where re-allocated to the parent depot at Bognor with some locomotives being transferred in to Brighton depot. 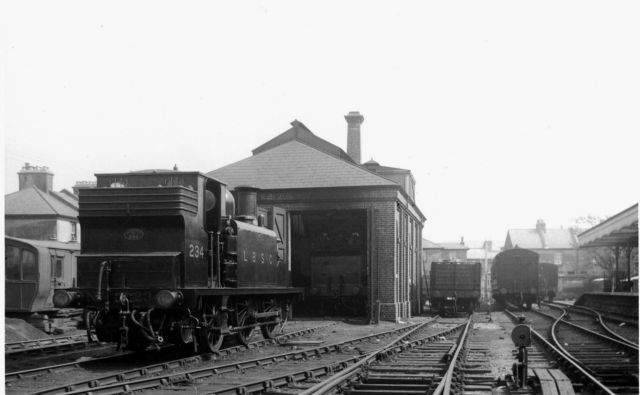 The Loco Shed still survives today. 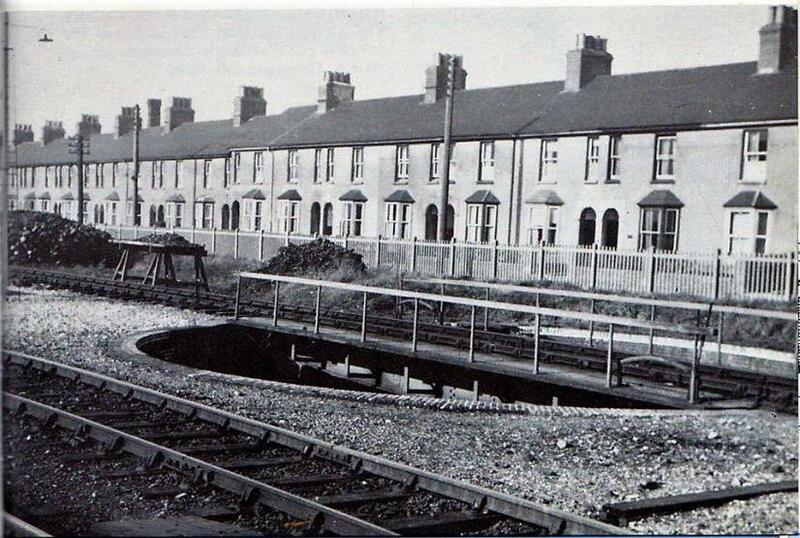 With the electrification arriving in Littlehampton on 6th <?<st1:date month="2" day="6" year="1938" w:st="on">February 1938, this created a new motorman’s depot at Littlehampton (E.M.U.T. ) which opened in c1937. 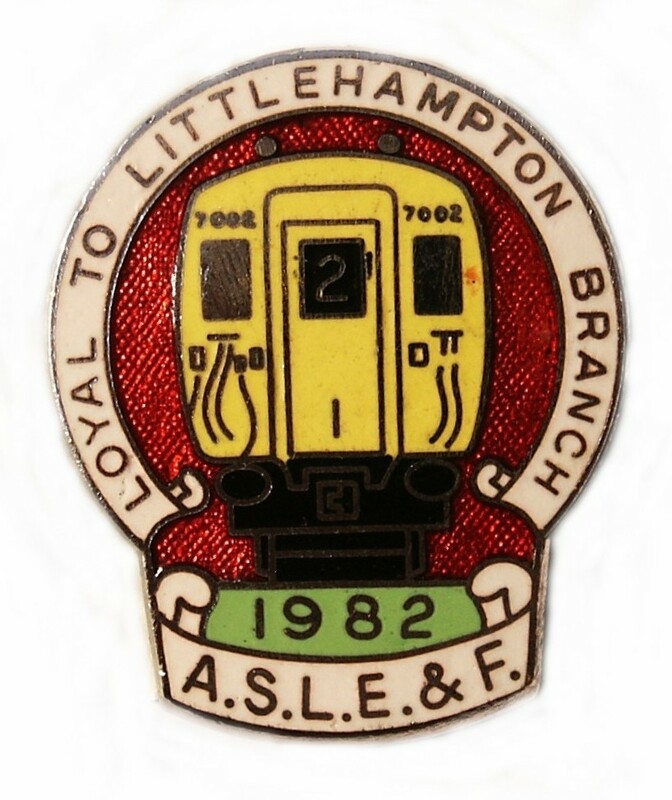 Littlehampton A.S.L.E.F. 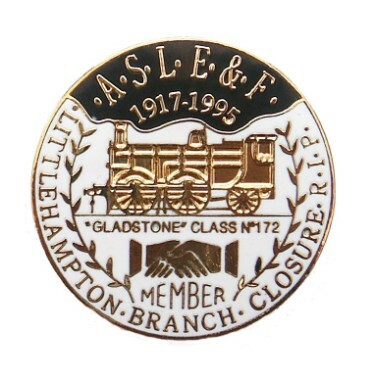 members had been part of the Horsham Branch until the open of their own Branch of ASLEF was opened in c1913 and closed in 1995. 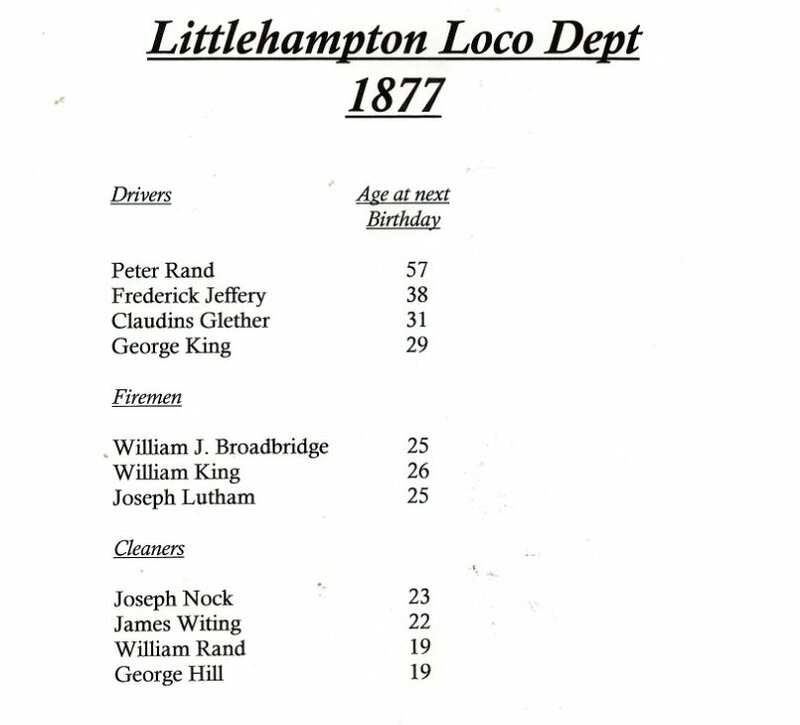 Above is a list of all the engine men that where employed at Littlehampton Locomotive Department in 1877. It is not know if this is list was compiled in seniority order or not. However, the list does clearly indicates the difference in the ages of both drivers & fireman at that period of time. 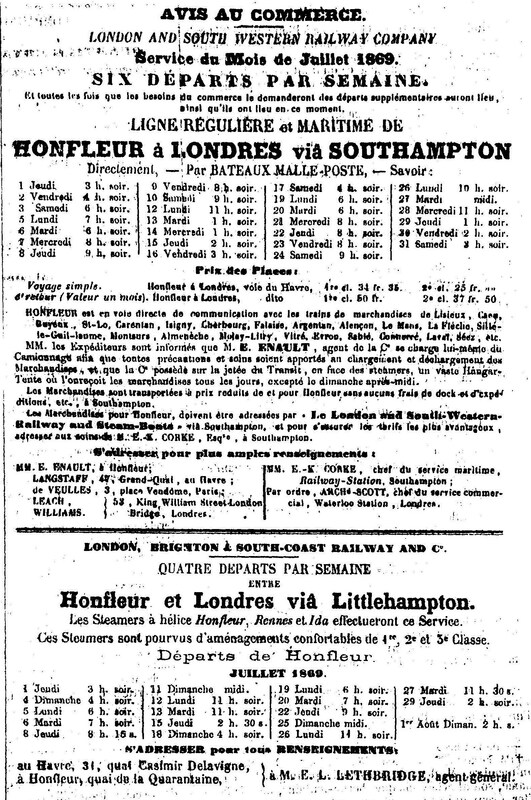 The accident, occurred on the 30th January last, near the Ford Station of the London, Brighton, and South Coast Railway. 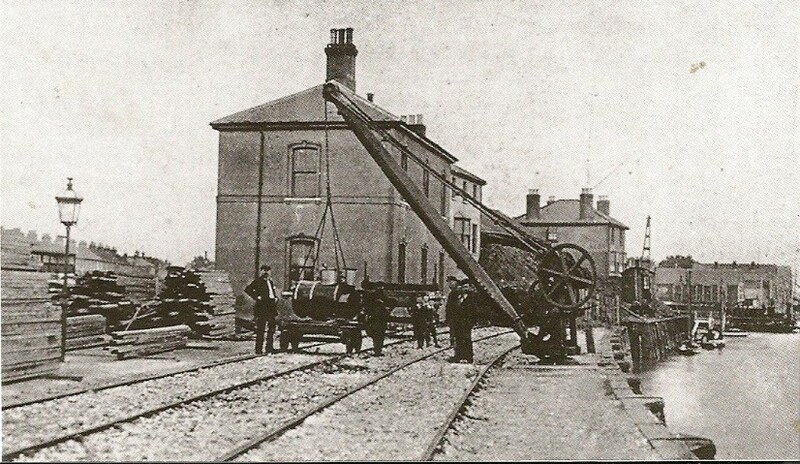 To the east of that station there is a sliding bridge over the river Arun, carrying only one line of rails; and the points which connect the double lines with the single line of rails at the two ends of that bridge are under the charge of two points-men, one to each pair of points. A double semaphore signal on the east of the bridge is considered as the governing signal, employed for the protection of the bridge and the single line passing over it. There are distant signals, working in each direction; and the station signal is not permitted to be lowered for the passage of a train from the westward, excepting when the signal on the east of the bridge is lowered also. A small wire signal communicates from the station to the west of the bridge. 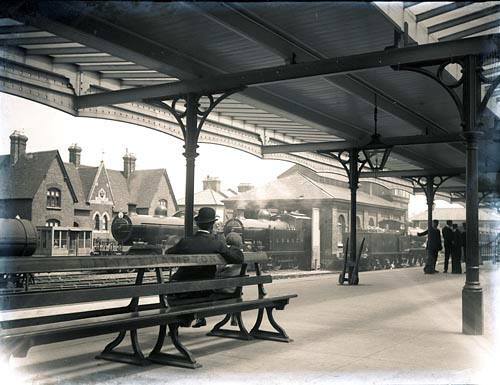 On the 30th January, the 6 a.m. passenger train from Portsmouth, consisting of an engine and tender, 5 carriages, and 2 break-vans, approached the Ford Station about four minutes late; and the driver found the signals lowered for him to pasS the station and bridge in the usual manner. He proceeded over the bridge at 14 or 15 miles an hour, which is the greatest speed permitted at this point by the Company's regulations; and he saw the engine of another train waiting upon the down line of rails, for his train to travel first over the single line. As soon as he had passed the points on the east of the bridge, he became aware that the points-man had turned him on to the down line, instead of allowing him to proceed along his own line, and that a collision was inevitable. He had just time to reverse his engine, but no time to whistle for his breaks, before he struck the engine of the cattle train. He remained on his engine, and was not much hurt. The fireman, after giving his break-handle one or two turns, also tried to jump off; but he only succeeded in getting on the lower step of the engine before the collision occurred; and he was stunned, by being thrown upon the ballast between the two lines, and cut about the face. The guard who was riding in the leading van, Alfred Moore, remembers having passed the Ford Station, but nothing more. He was found senseless in his break-van after the collision, and was evidently much hurt. There were fortunately only 3 passengers altogether, 2 soldiers and a pensioner, in the passenger train; and they do not appear to have suffered much from the shock. There were some butchers also in the cattle train, who were some of them hurt; so that about 6 persons, besides the above fireman and guard, may be said to have been injured, more or less, from the effects of the collision. The pointsman, who occasioned this accident, is an old servant of the company, with an excellent character, and he had been at the same post for 12 months. 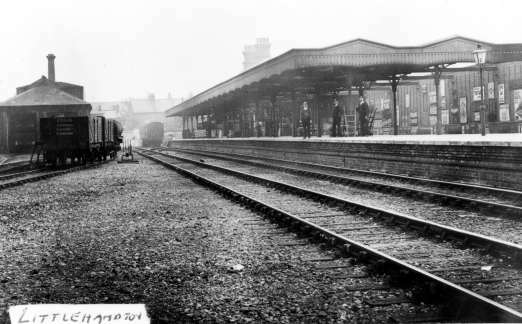 He saw the cattle train approaching from Brighton, about 5 minutes late; and he says that the driver passed the distant signal with his steam on, and he was a little afraid that he would not stop short of the points leading to the single line. He also saw the passenger train approaching from the opposite direction, and he lowered his signals, according to his usual practice, for this latter train, while he kept his signals at danger against the cattle train. He admits his mistake in turning on the points for the up line, and in thus causing the passenger train to run the wrong way through them; and he says that he did so unwittingly, while looking round, with.some anxiety. to see whether the cattle train had come to a stand sufficiently far from them to allow the passenger train to pass in safety. He did not perceive his error until after the engine had passed throul!h the points; nnd he then considel'ed, wisely, that it was better to keep them in the wrong position, rather than to alter them, and throw the passenger train oft' the line. The driver of the cattle train denies having run past the distant signal with his steam on, and he is corroborated in his evidence in this respect, by his fireman and his two guards. He states that he brought his train to a stand about 100 yards short of the points, and had been so standing for about 3 minutes before the collision occurred. He and his fireman had time to jump off and get out of the way, after they saw that the passenger train bad been turned the wrong way through the points. His tender wheels, and two or three of his cattle trucks were thrown off the line, in consequence of the road having been burst out on one side. The first breaks-man of the cattle train also had time to jump out of his van, after perceiving that the passenger train had taken the wrong line; but the guard at the tail of the cattle train had not time to do so, and be received a contusion on the forehead. It is admitted by the points man that this accident was caused by his mistake; and, as it appears that he only altered the points when the passenger train was within about 30 yards of him, it is plain that any indicating signal which might have been attached to them would not, in this instance, have been of much use. At the same time, it is desirable in cases of this sort, in which points have to be constantly altered for the passage of trains in different directions, either that they should be worked in connection with a min signal near them, according to the system which has of late been carried out so judiciously at the junctions upon this Railway, or else that they should be attached to a small indicating signal, so places as to inform an approaching driver of the direction in which they are set, and whether it is safe for him to proceed through them. 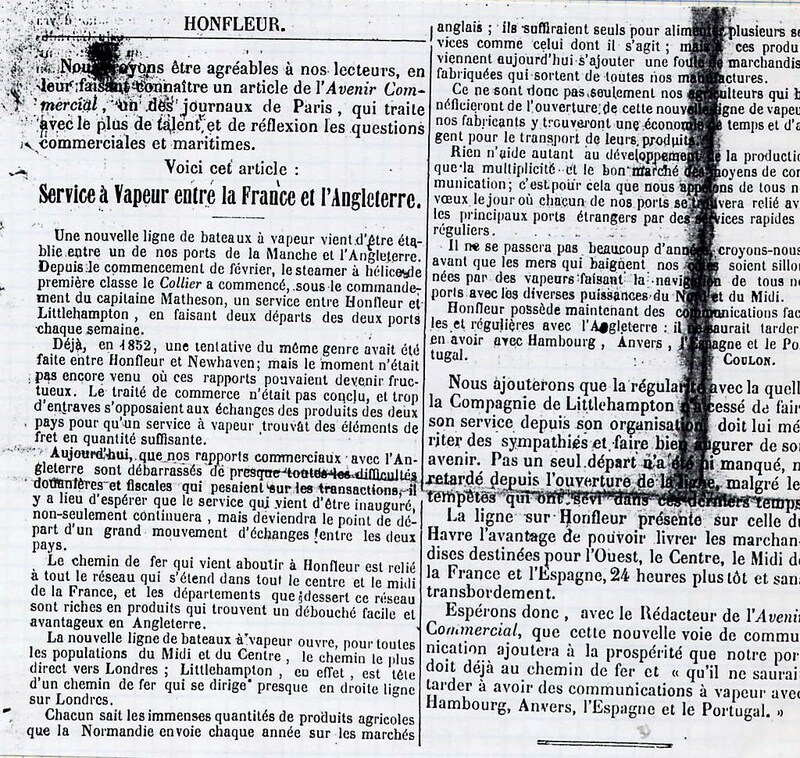 The best remedy, in this particular case, would be the construction of a new bridge, and the doubling of this portion of the line; a measure which the company are anxious, I believe, to carry out as soon as possible; and it would be a prudent course in the meantime to make some such alteration (by working the points in connexion with a signal) as that which I have above referred to. 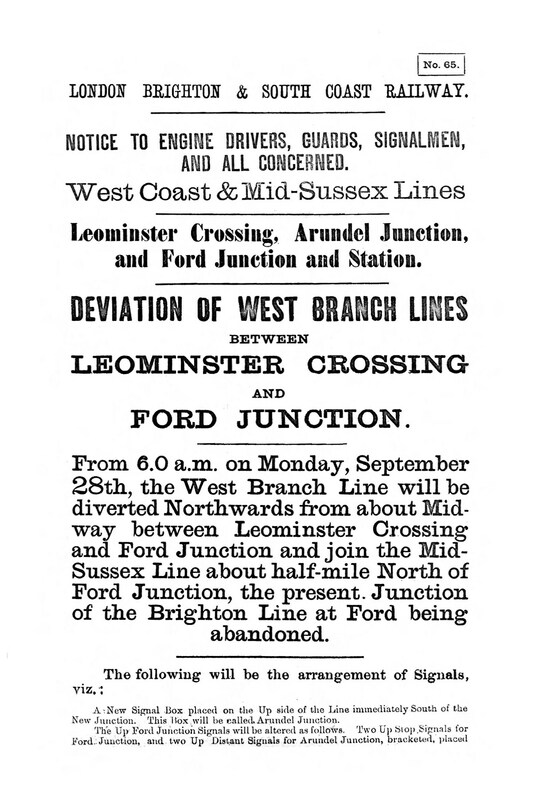 A passenger train from Littlehampton to Ford ran into a train of empty carriages standing in a siding at the Ford Station of the London, Brighton, and South Coast Railway, on which occasion six passengers and the guard of the train were injured; no bones were broken, but the injuries consisted of cuts and severe shakes. Ford is a junction station on the line from Brighton to Portsmouth, the Mid-Sussex line entering it from the north, and the Littlehampton line from the south. 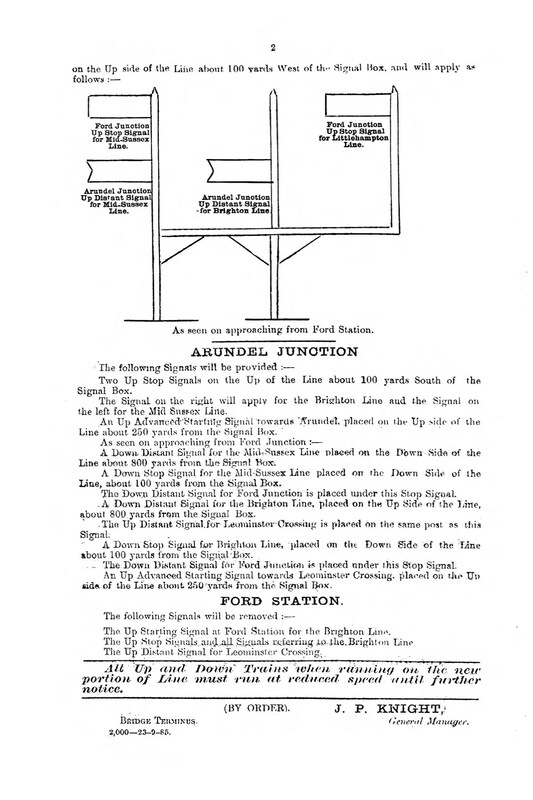 There is a signal box at the junction of the three lines; to the westward of this a wooden bridge over the Arun, and then a station signal-box close to the east end of the platform. The down or south plat form is double-faced, and the siding on its southern face is continued to the westward till it rejoins the main line 400 or 500 yards from the platform. The trains from Littlehampton to Ford usually draw up to the platform on this siding, and it is customary to use the western portion of the siding for empty engine and tender attached to s train of empty carriages was standing on this siding, the engine being at the east end of the train, and about 250 yards from the station signal-box, or l20 yards from the west end of the platform, which is 130 yards long. 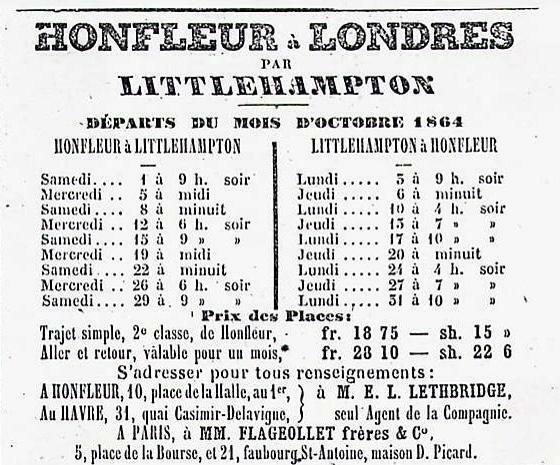 The passenger train from Littlehampton to Ford consisted of a six-wheeled engine (with 5 ft. 6 in. driving wheels) and tender, a third-clam carriage, second-class carriage, first-class carriage, and break van, Provided with ordinary break power, coupled in the order stated. 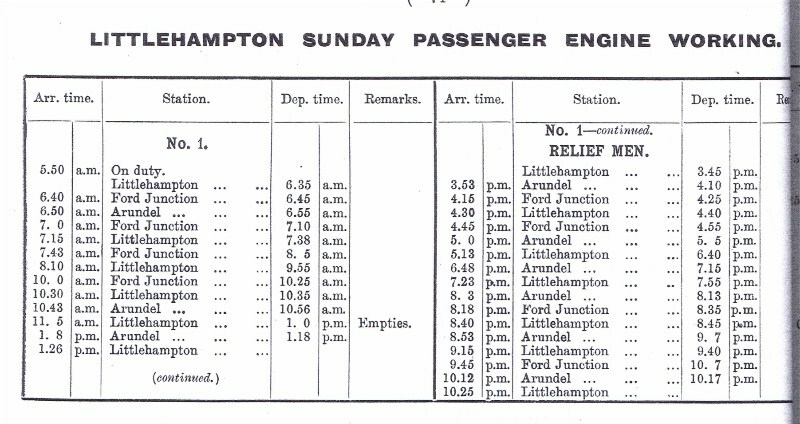 The guard states that the train left Littlehampton at 6.40 p.m. on the 4th May, and that they proceeded at a rather faster rate than usual up to the bridge over the Arun, the signals being all right for them to enter the station; but that the speed from this point, instead of being gradually reduced as is usual, did not slacken till the station box was reached, when, afar running for about 20 yards at a reduced rate, the train again shot ahead, and maintained its increased rate of speed until it ran into the engine of the empty train on the siding. Before reaching: the bridge the guard states that he applied his break, and kept it hard on until the collision occurred; and this statement is corroborated by other testimony. He was unable to communicate with the driver, from the absence of any means of doing so. The driver of the engine of the train of empty carriages stated that be happened to be standing at the each end of the platform when the Littlehampton train passed. From the rate at which the train was going (which he estimated at from 18 to 20 miles an hour) he felt sure a collision would occur, and flowed the train as quickly as possible. On reaching the engines he found his own had been knocked back about 40 feet ; and he observed that the break blocks of the tender of the engine from Littlehampton were off as far as the screw would admit, giving him the impression that the handle had been turned the wrong way. This driver's fireman was standing on the main line opposite to his engine when the collision occurred; he also estimated the speed of the Littlehampton train at from 18 to 20 miles an hour, and observed that the break blocks of the tender were right away from the wheels. 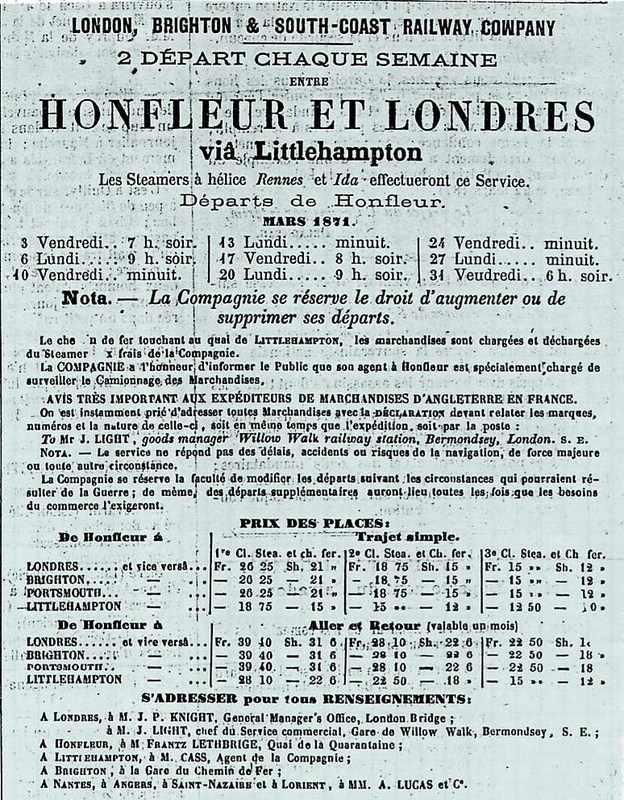 I was unable to examine the driver and fireman of the train from Littlehampton, as the former had absconded, and the latter was in gaol, awaiting his trial. From the evidence it appeared that they were both perfectly sober on the evening in question ; that they knew the line well, having run over it nearly 50 times since the 1st of April; that the driver had served as such on different lines for 191/2 years, and the fireman for two years, though they had joined the Brighton Company’s service only on the 1st of April ; that the only excuse the driver made was that he could not shut off steam, from his regulator not working ; which statement was proved to be false by the locomotive foremen at Littlehampton, who found the regulator working perfectly, shortly after the collision. Both driver and fireman had a copy of the Company's rules, which state that the speed on pawing the bridge over the Arun must not exceed 15 miles an hour.. I think, therefore, there can be no doubt but that the collision was caused by inattention to their dutie on the part of the driver and fireman, and that on suddenly finding themselves entering the station at too high a speed they loet their presence of mind, and neglected to me the ordinary means of reducing speed by reversing the engine and applying the tender break. It seems very objectionable that any trains should be permitted to leave a station without communication between guard and drivel; and it is quite possible that the present collision might have been avoided had such communication existed in this instance. 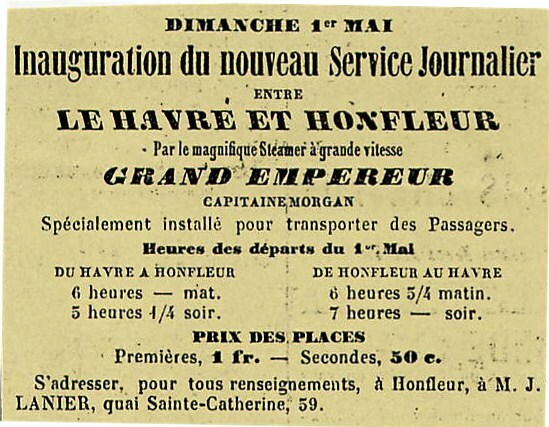 When a vacancy at any of the four depots occurred, it was filled by the senior man in the junior grade in the district, unless he expressed his desire not to do so, in which case the offer went to the next senior and so on. 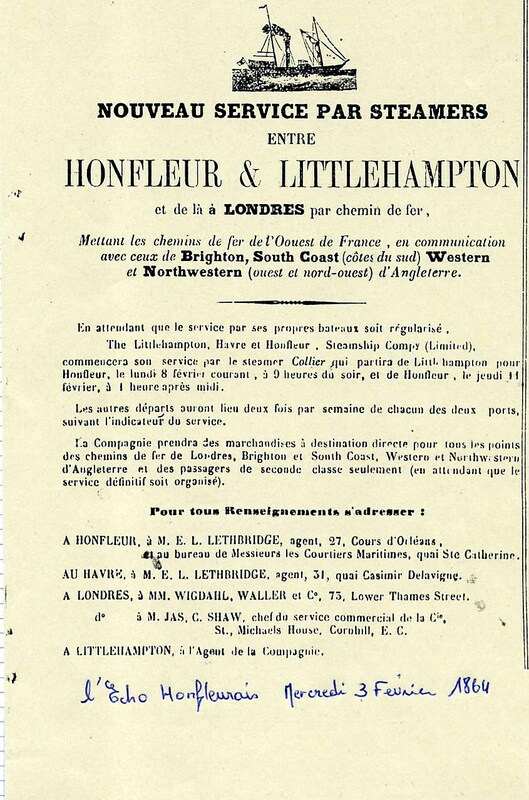 In the event of the post of fitter-in-charge at Littlehampton becoming vacant, the appointment was made but the Outdoor Locomotive Superintendent, Brighton. The shed at Littlehampton, in which four tank engines could just be accommodated, and locomotives enthusiasts could obtain close up views of the engines from the public highway. There was consequently no occasion for any contravention of the law of trespass, or fear of prosecution for loitering such as was the case at Bognor and Midhurst. Nevertheless, warning notices exhibited on the Company’s premises against loitering and trespassing were so numerous and conspicuous as to suggest to visitor that the local inhabitants possessed a particular flair for such offences, but the present writer knows of no case in which it was necessary to summon assistance from the Police Station immediately opposite the shed. 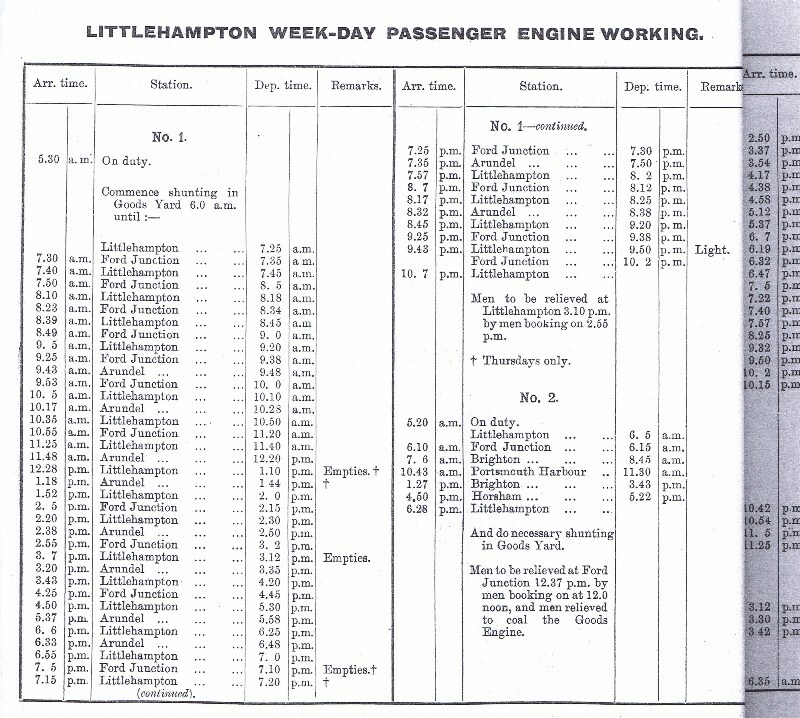 At Littlehampton, the fitter was in charge, and during the daytime he usually was to be found there, except on Mondays and Wednesdays, when he visited Bognor and Midhurst respectively to carryout repairs to the engine stationed there.Having but ten engines to look after (a small number for those days) the post was considered to be an easy one, as it undoubtedly was if action was taken to forestall mechanical troubles. As Littlehampton possessed direct rail access from the Brighton, London and Portsmouth directions, it never partook of remote character associated with Bognor and Midhurst, and engines stationed there were more generally visible, as they have a much less restricted range of operation. 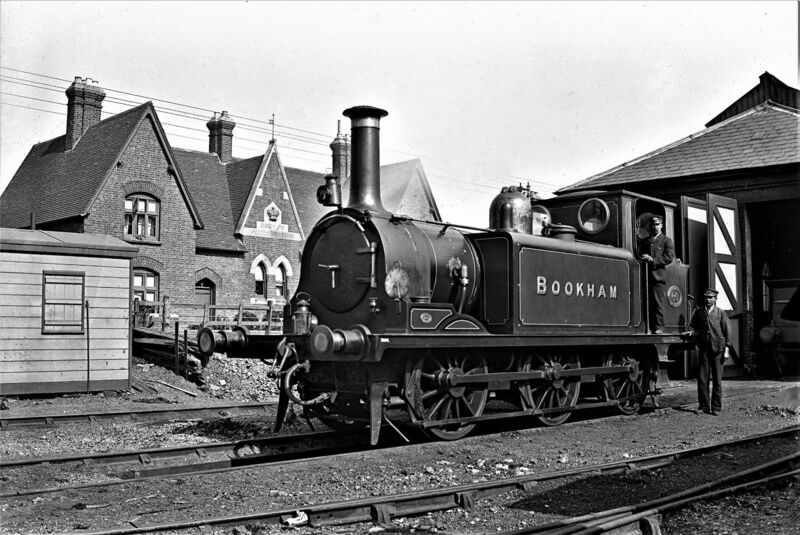 The Littlehampton goods engine worked from that station to Brighton via the Preston Park spur on Monday to Friday nights inclusive, the enginemen being on duty 12 hours a night, thus completing their 60 hour week in five night. It was washed out by the pump-man on Monday mornings. The “ local service engine,” a Stroudley 0-4-2 tank in 1900, worked a turn daily as far as Three Bridges and back. 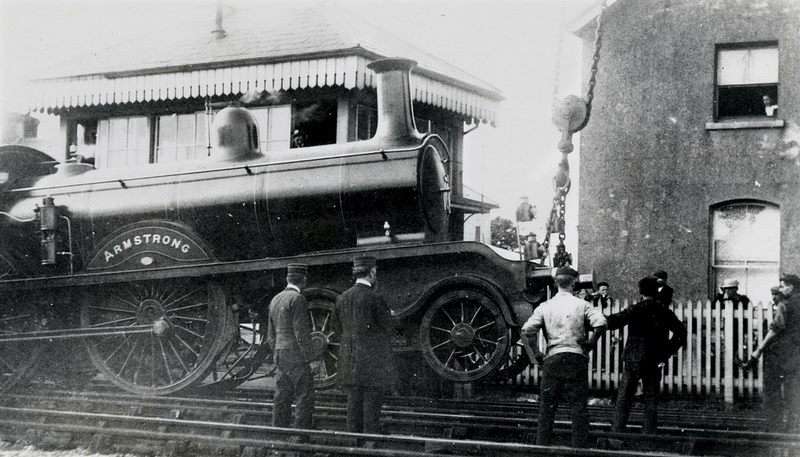 This engine, and the branch engine, were washed out regularly after six days’ worked by the pump-man (but not on a Monday) the spare engine being used to cover their normal duties on such occasions. On the 4th August, 1920, Driver Edwards, and his Fireman Chapman, was in charge of engine No. 360. Whilst running bunker first into Littlehampton station with the 1.10 p.m. from Ford Junction. The brakes failed to act and at about 30 M.P.H. 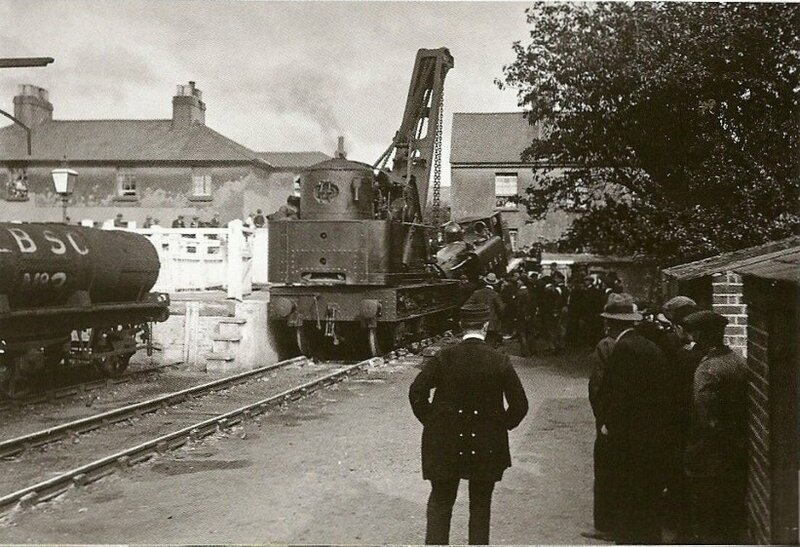 the engine demolished the buffers, crashed through the boundary wall behind and came to rest in the street. 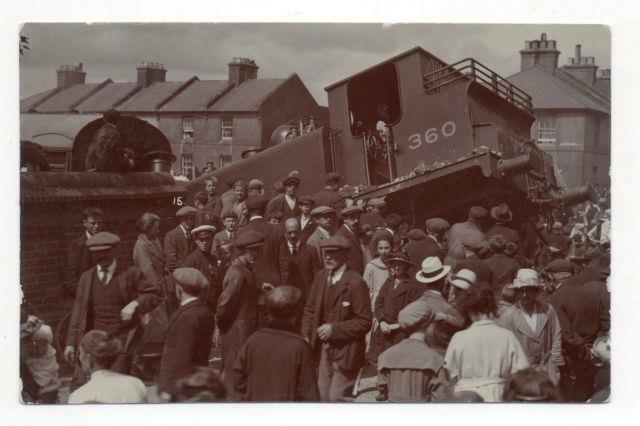 Of the thirty passengers on the train, thirteen received injuries. 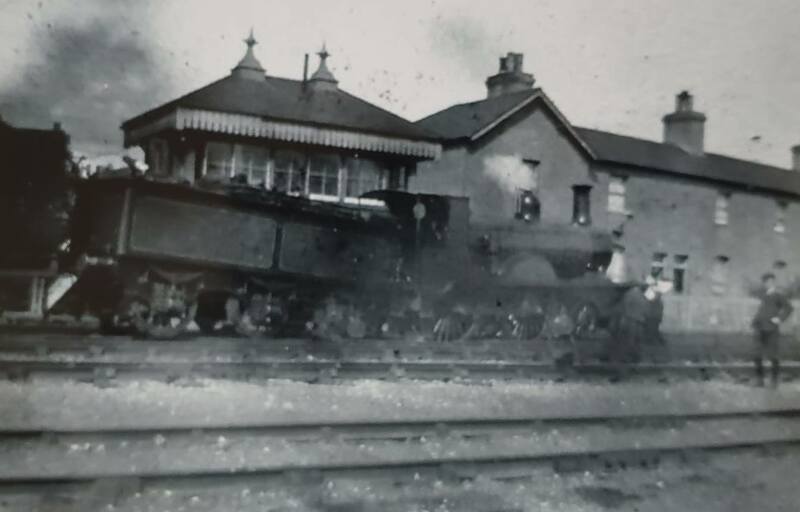 All this was the result of the wrong hoses being connected between the engine, which was not motor-fitted, and the first coach of the train which was one of the specially equipped trailer cars and had a section of hoses to choose from. The wrong pair were chosen and not discovered by the guard. Driver Edwards and fireman Chapman escaped injury by jumping from the foot-plate just before the collision occurred." I would draw the attention of the “Bognor” members that our meeting night is Wednesday, at 7 p.m., every third week, at the Terminus Hotel. During the years 1927-8 the uncomfortable branch-room was the reason given for small attendances, but, I am prepared to wager that a room to surpass the above mentioned for comfort and homeliness cannot be found. Having, therefore, surmounted the difficulty of an uncomfortable room, I am at a loss to understand the reason for small attendances. During my annual holiday, I devoted three days to branch business by holding two special open meetings and attending to L.D.C. matters. The attendances were very poor. If I were neglectful I should expect such meetings, but I defy anybody to bring that charge. Complaints, grievances, and suggestions, have all gone through their proper channels, almost as soon as receiving them. I’ve pretty well worn the carpet out in the “Loco.” Office, trotting in and out. Therefore, I repeat: “why such meagre attendances?” Now, “Wake up,” Bognor, and let’s hear your voices raised in the branch-room a little more often, instead of in the “lobby,” for surely two hours devoted to branch matters is not a great sacrifice out of six weeks. A word of congratulation to the Littlehampton members on the splendid attendance at the last two monthly meetings. I feel I must take an opportunity of expressing my thanks and appreciation to the members of the above for their assistance and help during the year 1929, and for apparent confidence felt, by again electing me as you secretary and shed committee representative, with Bro. H. Roger. I think we can look back upon the last 12 months with a fair amount of satisfaction, both from a membership point and an amicably working depot. Bro. Rogers will bear me out when I say that some of our committee meetings, during 1929, were rather trying ordeals, from the point of view of gaining a point (which was very rare) I must admit, and in some cases fighting to hold what we were just entitled to. When the foreman (that was then) greeted me with the remark, “Well, Lawrence, what is it this time, as much as I like you, I begin to hate the sight of you,” I think you’ll agree that it wasn’t exactly encouraging, but I will also admit that I was rather flattered, for o think I must have been a sort of a nightmare to him, I honestly believe he meant it, too. Anyway, I think we parted fairly friendly when he left us, so all’s well that ends rough. Well, now that we have entered upon another year with a new foreman and naturally new ideas, which, providentially for us, have proved beneficial to all, it’s up to us to look after them. Although I know there is no emphasize that point, I would like to lay stress upon the importance attaching to the branch meetings. For that is the place for the discussing of your workings, that your committee may go into conference with the knowledge that everybody approves of what is going to be done. Always remember, that to look after your interests and maintain efficiency, you must be conversant with present happenings, and to do that just spare that 2 hours one evening a month, and see and hear what’s doing. The attendances, of late, have been fairly satisfactory, but there is still room for improvement, so we commence our meetings again I would like those to this applies to bear it in mind. Another point well worth mentioning applies to the “Arrears Link.” It is rather deplorable habit, makes more work for me and a bit more for Head Office and will, one of these days, cause yourselves perhaps years of regret. You will find occasion when assistance and representation would be a wonderful asset, but owing to your being “out of benefit” you couldn’t get it, and don’t come to me with any expectation of sympathy, because you won’t get it, and I’ll tell you why. If two and more share are preferred in the sweepstake, then let the sweepstake look after your future. I wouldn’t mind so much if you parted up with a portion of it when you won, but you don’t, or won’t. I’m not by any means condemning football sweeps, for I’ve got one share myself, but as soon as it interferes with my contributions, then I’m quitting, before the sweepstake condemns me. Get that, do you? Just you think about it, and the explanation won’t be hard to find. W. LAWRENCE, Branch L.D.C. Secretary. A few words from us I am sure will not come amiss. Firstly, a glance back over 1930, I believe gives us a satisfactory reflection. Certainly one or two matters that were unforeseen I have no doubt will be remedied before overtaking us in the New Year. Here I must mention that it Is a great asset to have a foreman who is always ready to listen to reasonable suggestions for betterment of our working conditions, and furthermore will also assist in alleviating any difficulties, sometimes, as I am aware, at a good deal of personal inconvenience; also, to have satisfaction expressed for our carrying out allotted duties was, to say the least, surprising, but nevertheless greatly appreciated. We can do no better than make 1931 even more successful, that is providing the companies leave well alone. To enter into 1931, I must first of all express my appreciation of the apparent confidence shown in me again by electing me as your secretary, and I take this opportunity of thanking one and all, and trust there will be no cause for you to regret your choice. It is also well worth mentioning, that with the exception of one most desiring re-election, all other 1930 officers were returned unanimously. That in itself, I think, expresses a great deal. I would also congratulate the members upon the way contributions were paid and several cases of arrears wiped off. These in some cases, be it noted, before the Companies’ proposal were known. Judging from the present situation, I don’t think the arrears for December will be much to talk about. Whilst broaching the subject of the companies’ suggestions that are staring us in the face, I am relying upon this branch to respond to the “Stand to Arms” call, should it be necessary to sound same. We, of course, are aware that our two slugs are awaiting the opportunity to still further deprive us of a decent standard of living. It is pleasing to note that our E.C. have taken the time is not far distant when wedge will be driven completely home. It is beyond understanding why men who call themselves “Trade Unionists” can find time to associate with such scum. Furthermore, to listen to them and be influenced by what they say gets me groggy. Dirty, low-down, sneak thieves, and yet some of you are afraid to treat them in the manner they should be treated-sooner go and treat them to half-a-pint of beer. So would I? Still, it doesn’t seem to have much effect. I’ve talked till I’m very nearly sick with talking, so I only hope the day isn’t very far distant when others methods will deal with them. In conclusion, I would again remind certain members that our branch meetings are still held at the Terminus Hotel, Bognor Regis and the Labour Hall Littlehampton. With fond hoped that the New Year will be much brighter than present outlook affirms.